Can't get enough of the New York Knicks? Or do you just love orange and blue together? 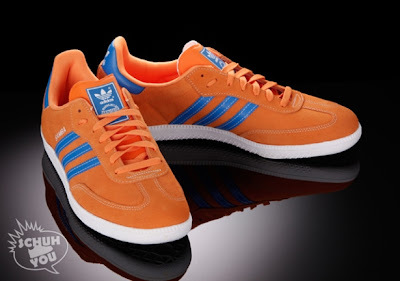 Adidas lovers this one is for you. 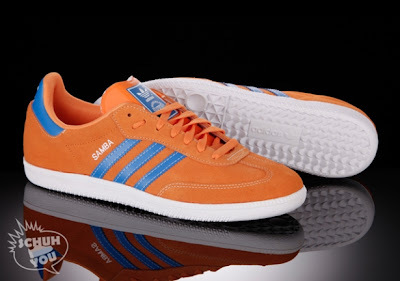 The new Adidas Samba's are sporting a Knicks colorway with an upper made out of orange suede and blue leather on the three Adidas stripes/heel/tongue tag.